YWCA’s Early Learning Centers offer early education to children, infants (six weeks) through preschool age. 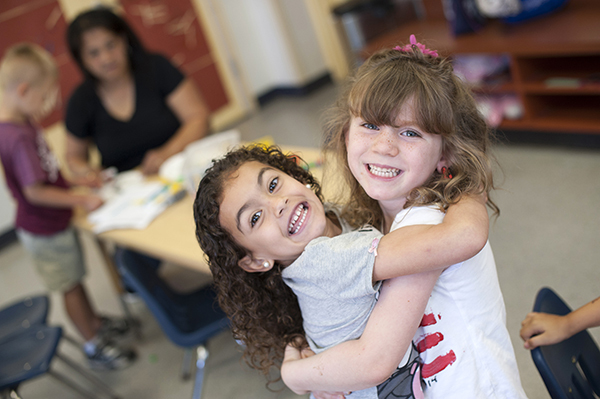 Our full-day, full-year nationally accredited programs (NAEYC) in Hartford, East Hartford, Manchester and West Hartford offer affordable, convenient, high quality early childhood education that fosters a life-long love of learning. Our newest center in South Windsor offers the highest quality of education and is dedicated to taking care of your children with the highest standard. Through active play, exploration, discovery, social interactions, and hands on activities, our early learning programs cultivate each child’s social/emotional, physical and intellectual development. While promoting a climate of cooperation and respect, we embrace and celebrate the uniqueness of each and every child! Please call to schedule a visit at one of YWCA's Early Learning Center locations. YWCA offers parents the Circle of Security parenting series for FREE. The Circle of Security is a relationship based program designed to enhance attachment security between parents and children. Decades of university-based research have confirmed that secure children exhibit increased empathy, greater self-esteem, better relationships with parents and peers, enhanced school readiness, and an increased capacity to handle emotions more effectively when compared with children who are not secure.